Renovation of an industrial campus, including demolition of existing structures, rework of the campus electrical site power distribution and construction of a new 24,000 square foot ink lab with a quality control lab and 12,500 square foot North American Headquarters building. Mechanical, Electrical and Plumbing system design, including industrial ventilation systems, site power distribution, waste water design, hazardous building code analysis and construction phase administration. We were involved in multiple projects at the campus over from 1998 to 2007. The initial project began with the demolition of 100+ year old structures to make way for the construction of new state- of-the-art industrial buildings and offices. A complete rework of the campus electrical distribution system was required to make way for the new structures, with the design of a new electrical distribution house to allow rework of power services with minimal shut downs. The main floor of the ink production facility was classified as an H2 hazardous occupancy because of the solvents used in the ink production process. 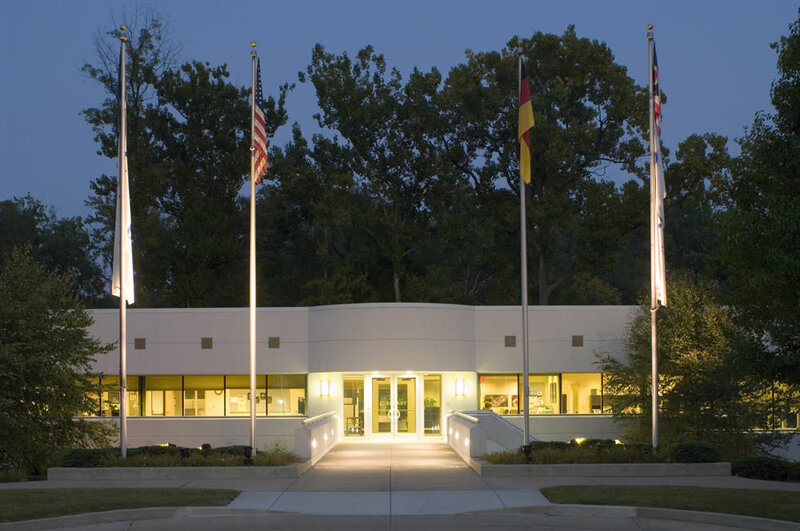 The office building project provided consolidation of Ekart America’s operations. In 2007, our office, along with the project architect, designed a new 1,250 square foot paste production facility. We worked closely with the owner and project architect to ensure each building was classified properly for its intended use. All campus H2 occupancy buildings required electrical systems that were rated for Class 1, Division 2. We coordinated our MEP equipment and systems for each building during design development to locate as much equipment as possible outside hazardous areas. 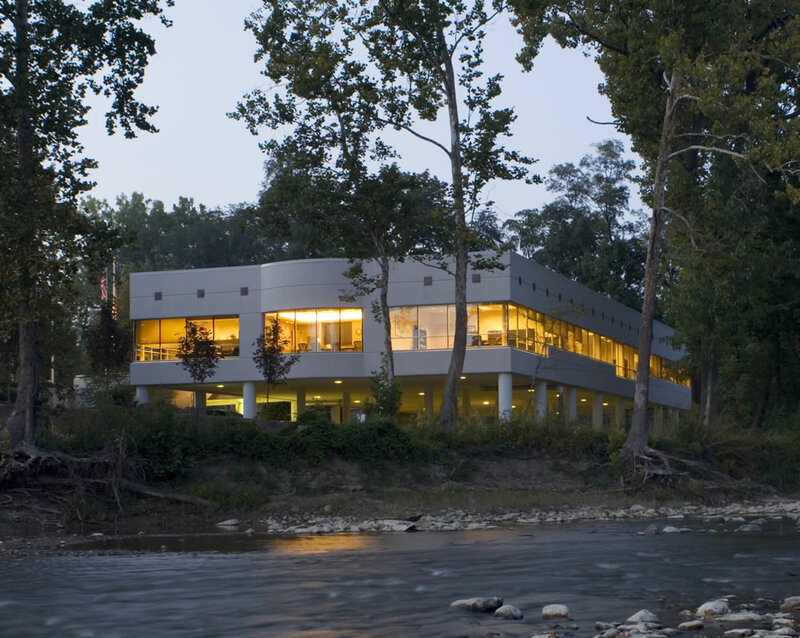 The office building was constructed along the Cuyahoga River and was built on stilts to raise the finished floor above the flood zone. The area below the building was used as parking for office staff. Mechanical and electrical systems were designed to be above the flood plain. 24,000 square foot plant, 12,500 square foot office.